Today I recycled one of my reading time lessons into an English after school (club) lesson that worked really well! See my older post on easy PPT lessons for reading here. 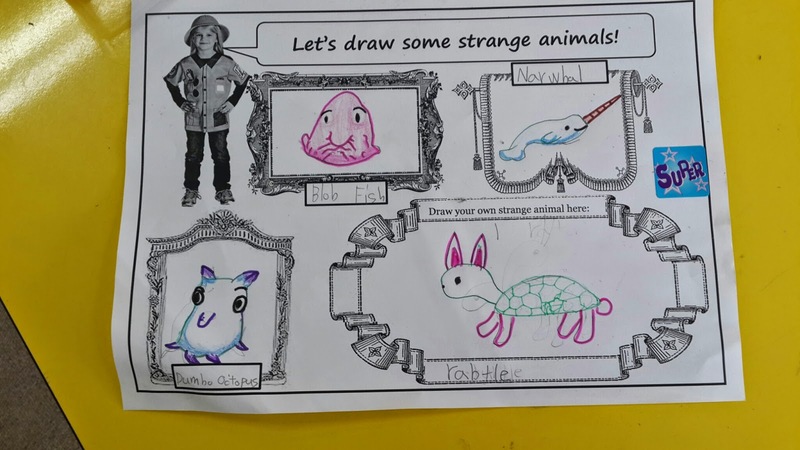 The lesson topic: Strange Animals ! 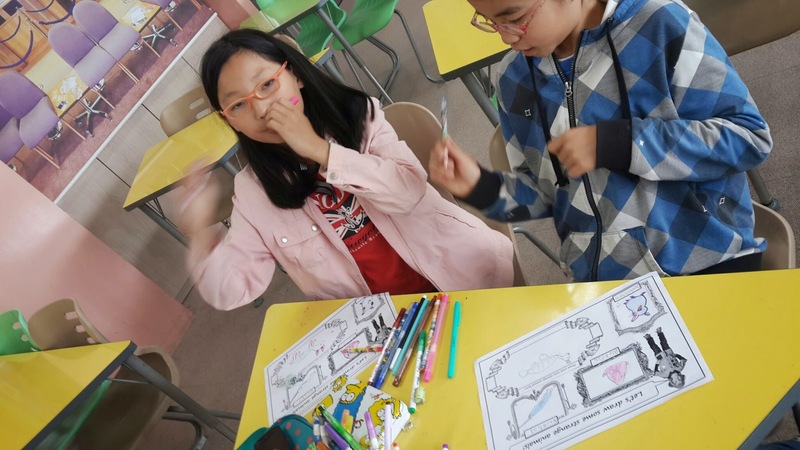 The objectives: learn some new words, learn about some strange animals, practice reading and listening...creative drawing! The PowerPoint: I made a powerpoint that features a zookeeper I named Ella who wants to show us some strange animals from the zoo, we start in the aquarium. Ella introduces us to the Blobfish, Dumbo Octopus and the Narwhal. Download the Learn and Draw Strange Animals PPT for free at my Teachers Pay Teachers Store. 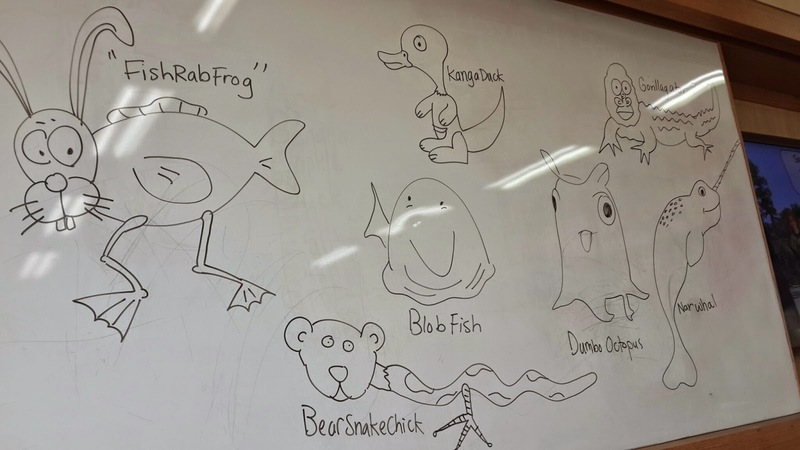 The Worksheet: I designed a worksheet to go with the PowerPoint, each time we learn a new animal we draw one. 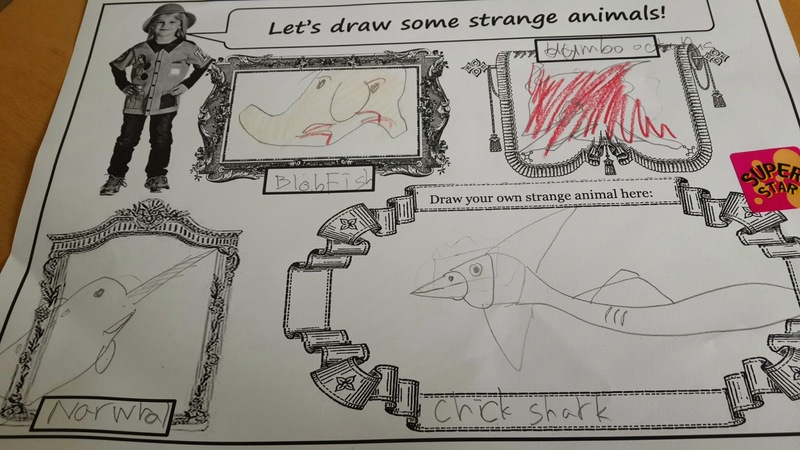 And at the end I ask the students to draw their own strange animal -you can ask them to make one up or draw one they actually know. 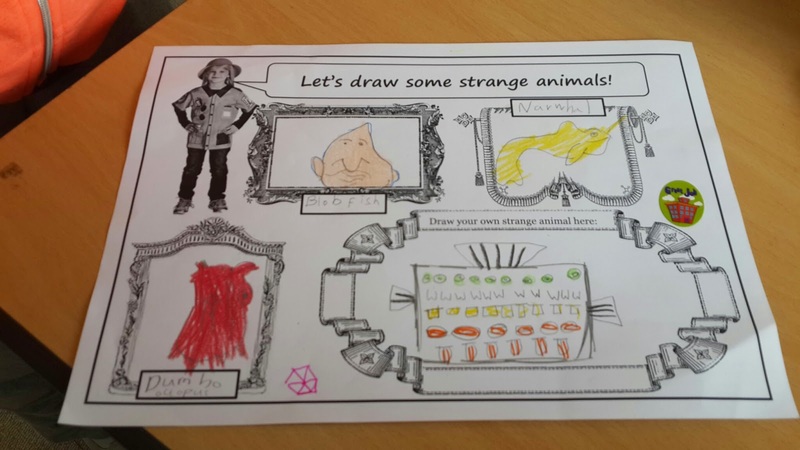 Download the Draw Strange Animals worksheet for free at my Teachers Pay Teachers Store. The Worksheet looks like the one shown in the power point, except that it's blank so they can draw their own. 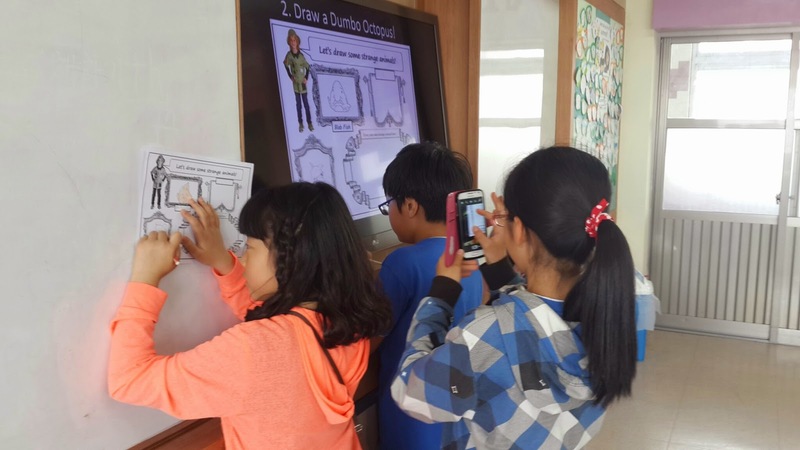 My students really loved to see the drawings on screen to copy or be inspired by. The students especially liked my "Bearsnakechick" hehe. Here are some of the students hard at work (well, not too hard) and some of the final worksheets that were finished. I rewarded with big stickers, of course. Very happy with how the lesson turned out! 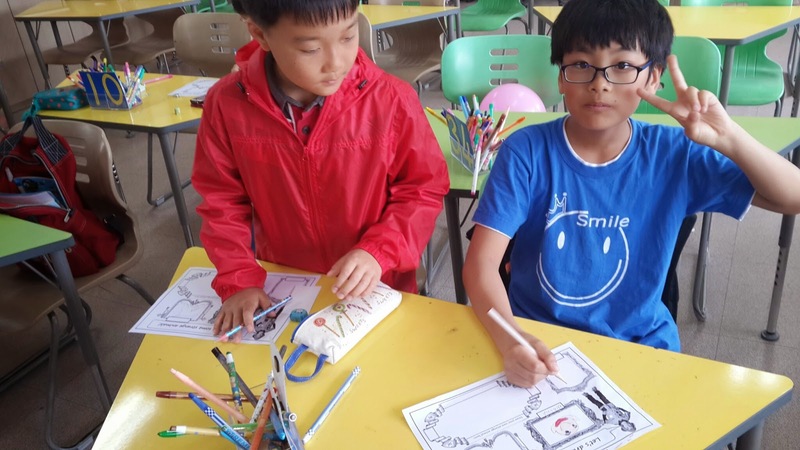 The students were really interested in the YouTube videos and pictures I showed of the animals and loved the drawing part also. Her strange animal - the "rabtle" hehe! How creative ! I think it's a fish and robot combined? I love his "chickshark" ! 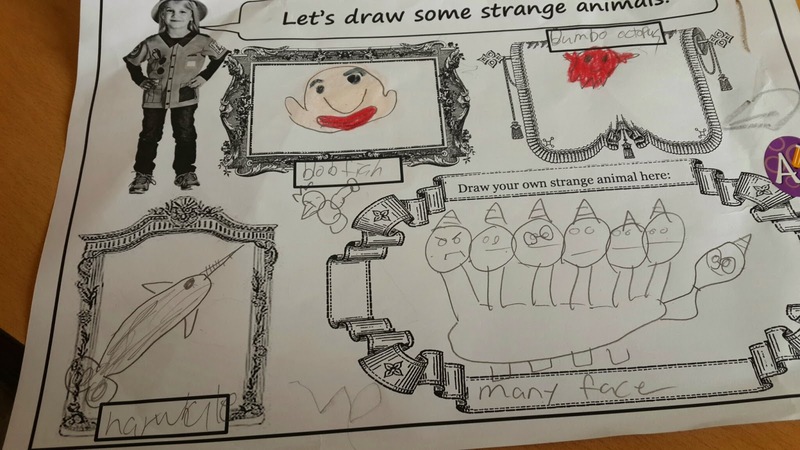 His strange animal - "manyface" ...gives me the chills actually...I could only think of that scary human centipede movie. ugh! Thank you! I'm looking forward to using this with my 6-7 year old class and my 7-8 year old ESL classes tomorrow.